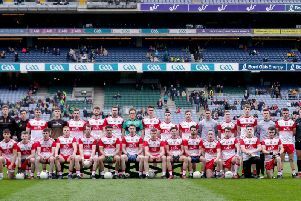 Neil Forester claims Derry’s Division Two ambitions remain at the top end of the table despite being held to an opening day draw by promoted Clare in Celtic Park on Sunday. The Steelstown man admitted it was frustrating not to secure the win but pointed to last season as an example of how quickly things can change in league football. “We did much better in the second half but it was disappointing not to win,” said Forester. “One point is better than none but you need to be winning you home games. “We won our first two games last year and still ended up in a dogfight to stay in the division so winning those games doesn’t guarantee safety or anything else. That shows there is everything to play for. Meath suffered an opening day home defeat to Kildare but Forester is expecting a tough game. “We have a really important game now. You don’t want to leave yourself short going toward the last two or three games.